Nowadays, cloud computing is a growing scenario applied to many scientific and manufacturing areas due to its flexibility for adapting to highly demanding computing requirements. The advantages of pay-as-you-go model, elasticity, and the flexibility and customization offered by virtualization make cloud computing an attractive option for meeting the needs of some high-performance computing (HPC) users. However, in this environment, the inherent resources heterogeneity, the virtual machine resource sharing, and the HPC-agnostic cloud schedulers are some bottlenecks for effective HPC in cloud. Furthermore, the energy factor has added another layer of complexity in the task scheduling because of the necessity of maximizing the resources utilization and reducing their idle states. In such a complex infrastructure, the scheduling process that allocates the user parallel tasks, represented by cloudlets, to the virtual machines becomes the focus not only to reduce the job execution times, but also to deal with the energy-performance trade-off. In this work, we propose a multi-objective genetic algorithm to determine the most suitable allocation of cloudlets to the available virtual machines. This innovative approach is able to generate scheduling decisions evading systematic allocations and providing new chances for the remaining cloudlets to be scheduled in order to reduce the whole execution time and also the energy consumption. We validated our proposal using real workload traces from HPC environments and compared the results with well-known algorithms from the literature. 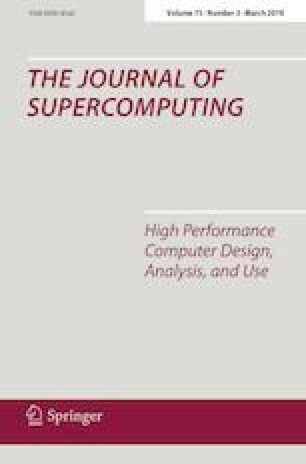 The obtained results showed that our proposal achieves lower execution times and minimum energy consumption compared with other classic algorithms from the literature. This work has been supported by the MEyC-Spain under contract TIN2014-53234-C2-2-R, TIN2016-81840-REDT, and TIN2017-84553-C2-2-R.